The title says it all. 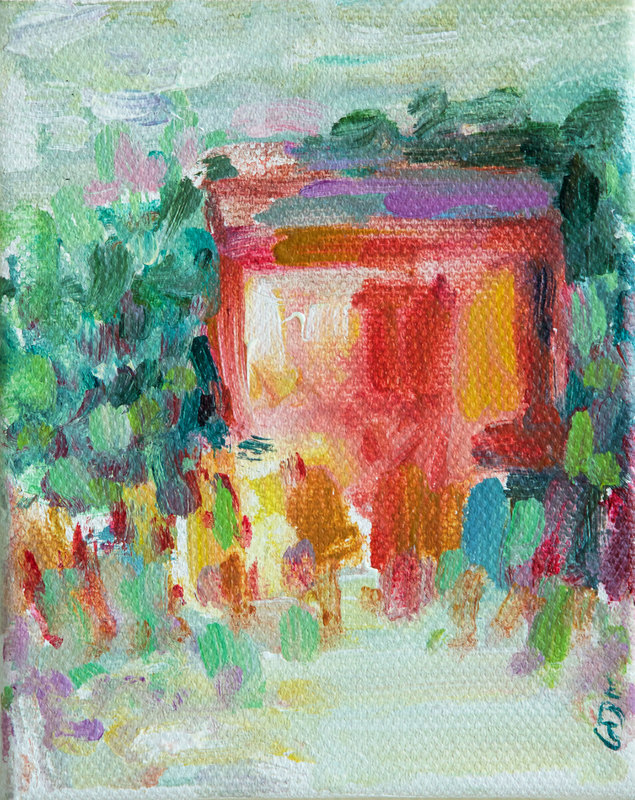 A 4 x 5 inch sweet little acrylic impressionistic piece with a bright and sunny palette. How I would love a little cottage like this surrounded by garden flowers and bushes and a quaint little walk-way up to this little piece of Heaven.